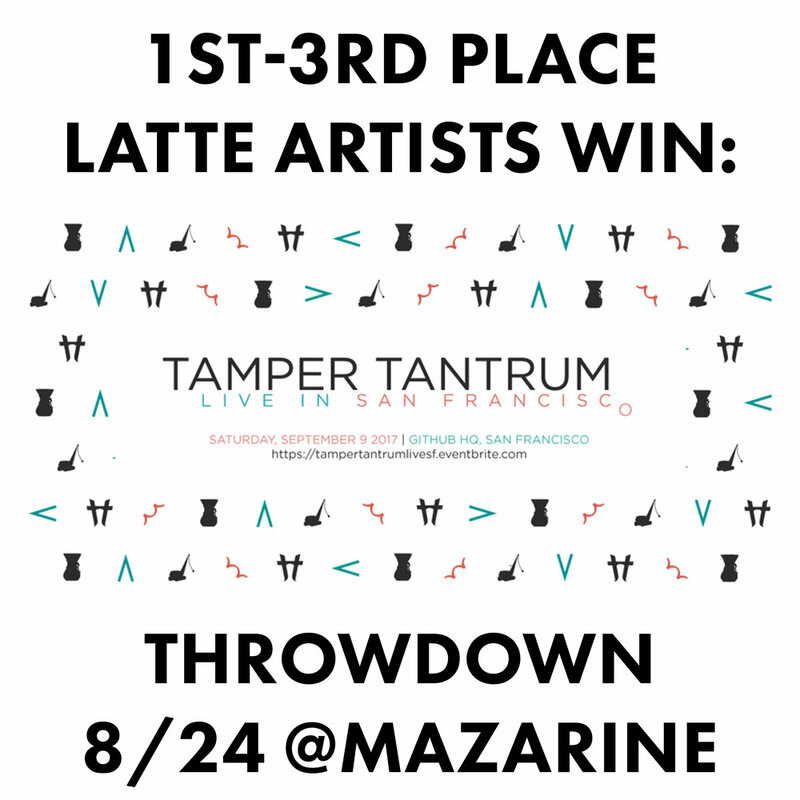 We're hosting a throwdown with our friends at Mazarine! 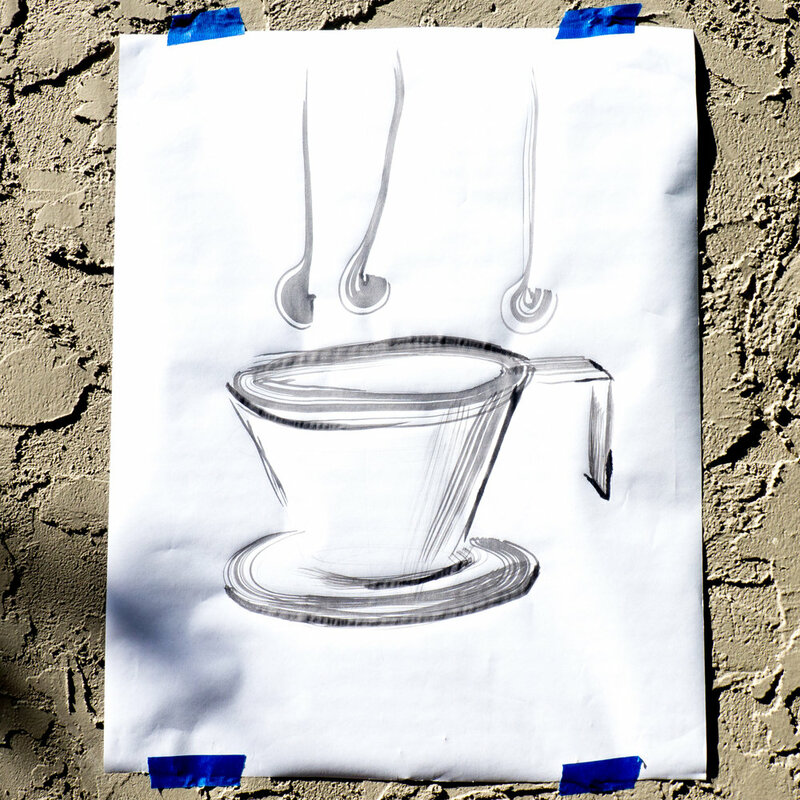 Temple Coffee Roasters and Tamper Tantrum are sponsoring. We'll have some far out prizes! See you folks there! Our community is maintained by motivated leaders like you. Let's connect! Email us with your name, phone number, and interest at getinvolved@hellobacc.org. 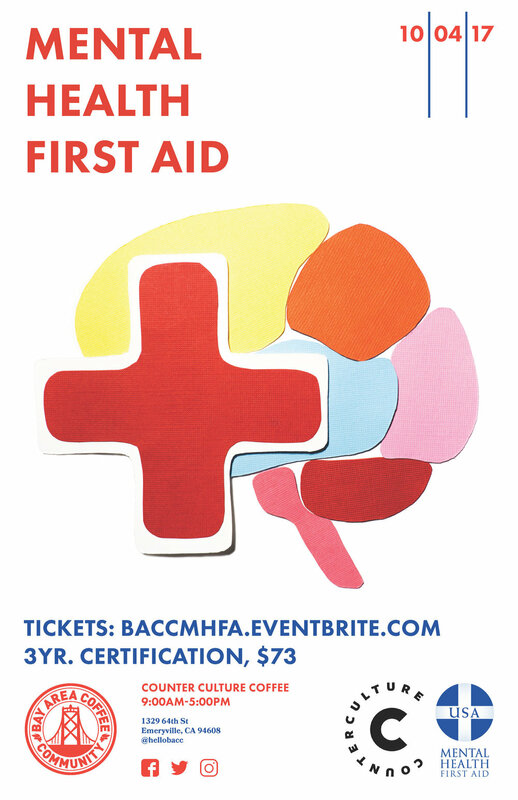 The BACC is hosting a Mental Health First Aid certification workshop that provides training for baristas to manage situations with mental illness, health breakdowns, de-escalation, and discuss general conversation techniques that can be employed in a retail setting, at work, or as a bystander. + Please bring lunch and additional food/drink as needed. + Course cost is $73, participants will be certified for 3yrs. 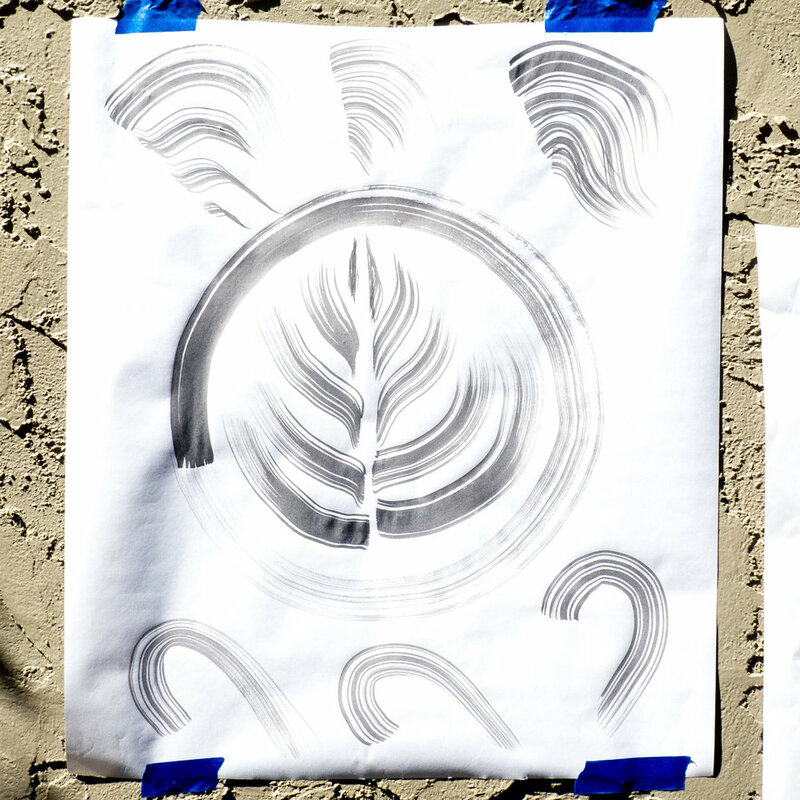 + Workshop space is limited to 30 attendees and is filling fast. We are so excited, see you there! Start brainstorming! Please join the BACC for our next non-fiction storytelling event, "Dismantling Your Privilege" at the beautiful, Chez Poulet event space. We'll begin the evening with a Privilege Walk to bring awareness and support to our group, then hear your stories. Please describe your story in a few short sentences and indicate the length of your story (requirement is 2-7 min). Please keep in mind that we are sensitive to our community members and will not allow stories that degrade or insult anyone. 10-15 storytellers will be accepted on a first-contacted basis. 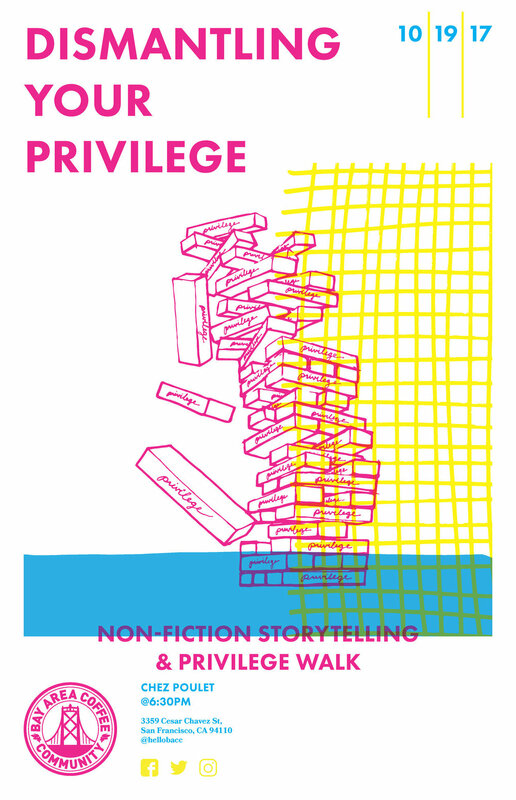 Our Privilege Walk begins at 6:30pm for those who would like to participate. We will begin by standing in a line, then each person will take a step forward, backwards, or remain in place in regards to answers to questions from various categories. There will be time for discussion after the walk. We have highly considered every question we will ask - participants are welcome to remain where they stand if they choose not to answer. Storytelling begins at 7:30. If any point of the evening is triggering, attendees are welcome to come and go as they feel comfortable. We aim to have an open, inclusive, and engaging evening. Thank you for joining us! We are looking for non-alcoholic drink sponsors! Please email sponsorship@hellobacc.org to reach out. We'll be moving around the space and are in need of 3-4 people to help out with chairs and passing out beverages. Please contact getinvolved@hellobacc.org. The BACC Code of Conduct applies to all events. 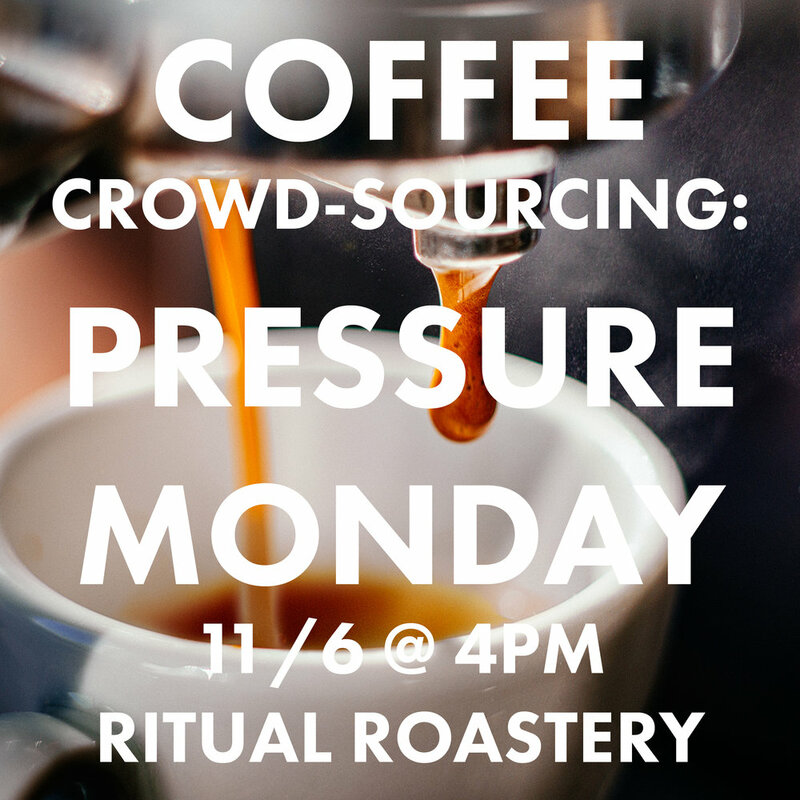 Explore the effects of pressure when brewing espresso. Using a Synesso Hydra MVP, we will experiment and taste to finally gather some concrete information about the effects of pressure on the flavor of espresso. Bring your questions and curiosity! Thank you, Ritual Coffee Roasters for hosting us in your space and providing some fantastic roasts! In response to the recent SCA Deferred Candidacy decision, the BACC is hosting a community forum for discussion. 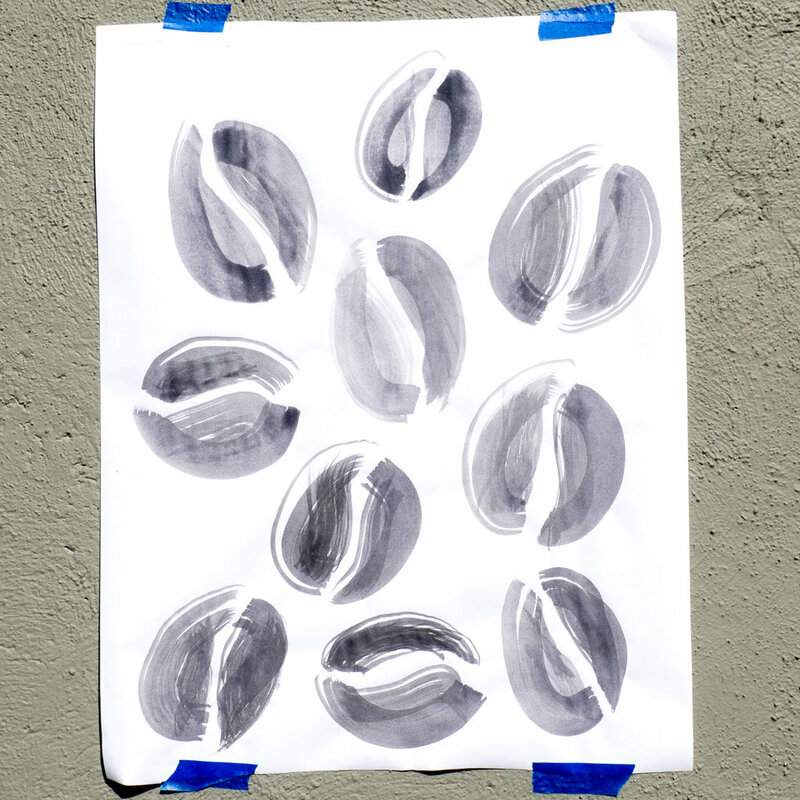 Thank you, Equator Coffees and Teas for co-hosting! We are inviting one person from WCE staff and SCA Board to be there for questions and clarifications and will be structuring the event similarly to previously hosted town hall events across the country. - Alert attendees that we will be taking photos and minutes. If an attendee is uncomfortable for any reason, please alert moderators to opt out from appearing in published photos. - Community brainstorm, where do we go next? 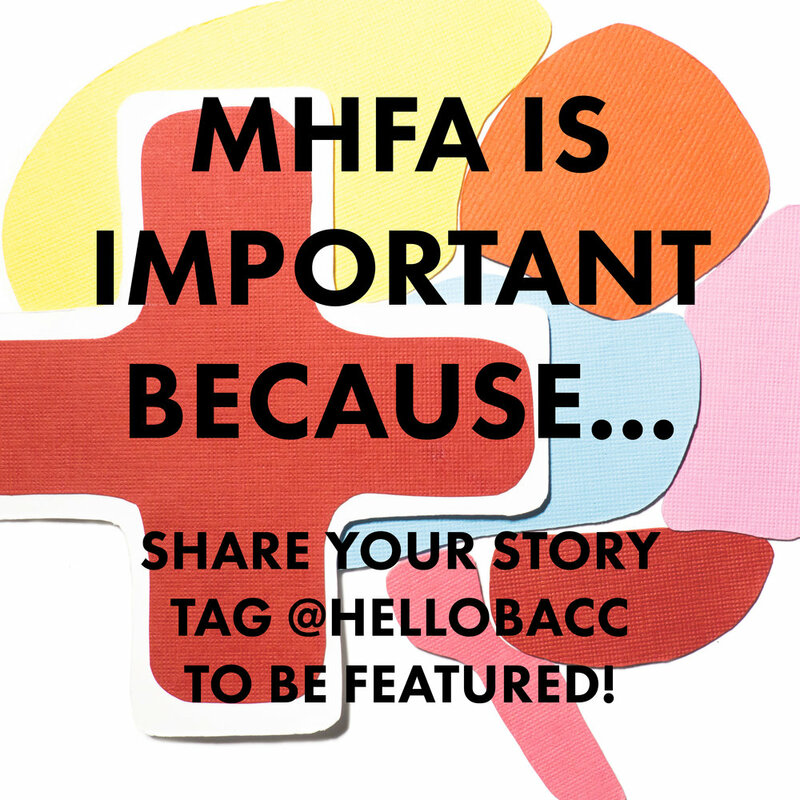 Please email hey@hellobacc.org for any questions, agenda notes, or comments. Thank you! Our events are dedicated to providing a harassment-free event experience for everyone, regardless of gender, gender identity and expression, age, sexual orientation, disability, physical appearance, body size, race, ethnicity, religion (or lack thereof), or technology choices. We do not tolerate harassment of event participants in any form. Sexual language and imagery is not appropriate for any event venue, including talks, workshops, parties, Twitter and other online media. Event participants violating these rules may be sanctioned or expelled from the events without a refund (when applicable) at the discretion of the event organizers. 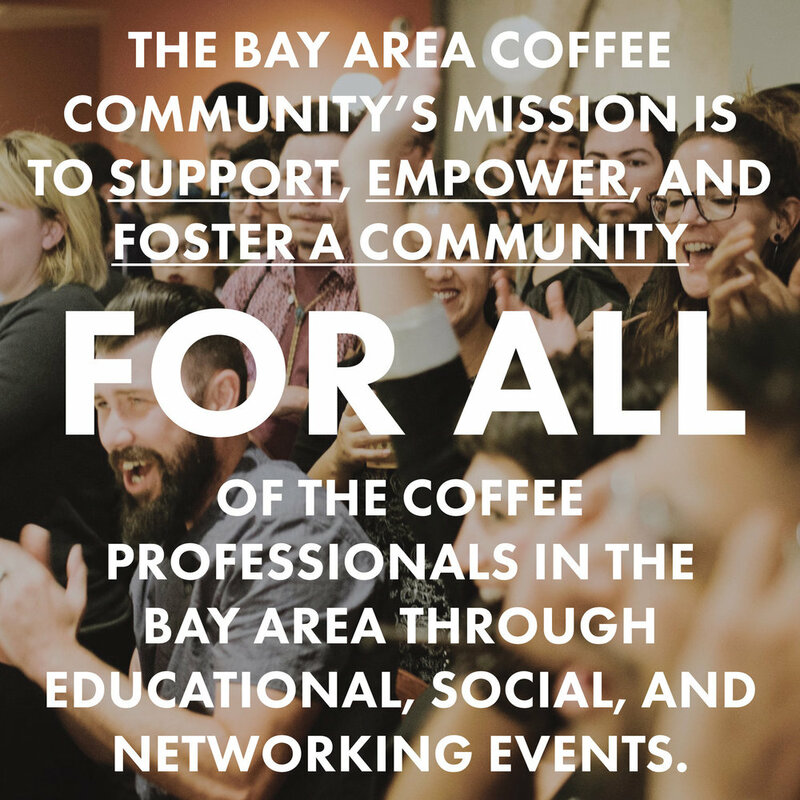 A gathering for the Bay Area Coffee Community to share resources regarding safe & inclusive workplaces. 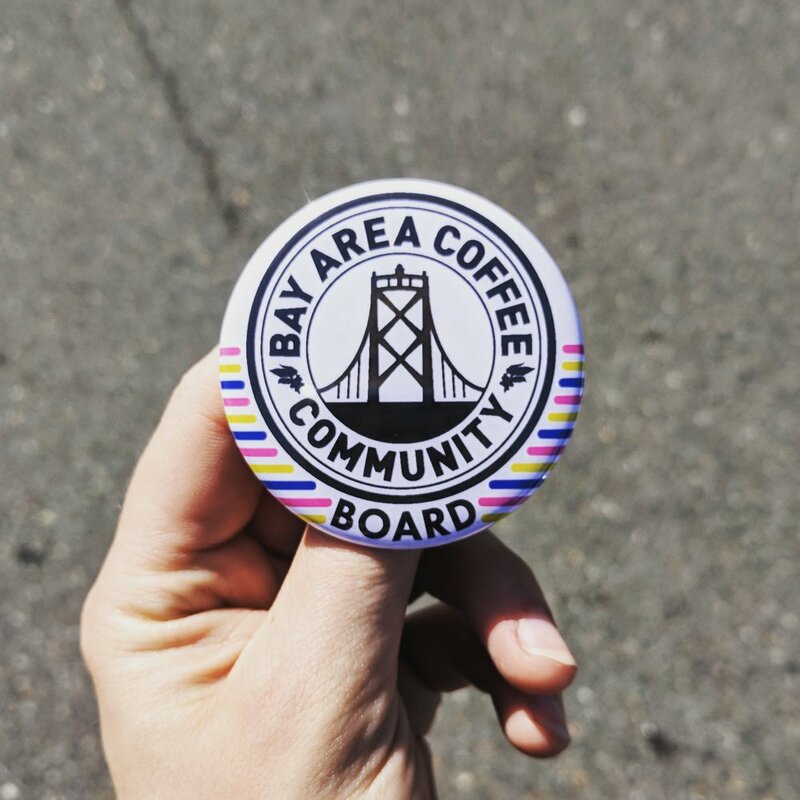 We will also be discussing current events in the Bay Area coffee community. This event will be moderated. This is not a Library Sponsored Program. Attendees are expected to adhere to our Code of Conduct.